Current: See our newest products at Automate 2015! This year, Automate 2015 will be held from March 23-26 at the McCormick Place in Chicago, IL. Dorner will be exhibiting for our first time in Booth #282. We are bringing along some of our newest technologies for the automation industry and it’s your chance to get a first look! We released our new SmartFlex Pallet System late last year, and now is your opportunity to see it in person! Automate 2015 is your first chance to get a sneak peek at our soon-to-be-released 2200 Series Precision Move Pallet System. 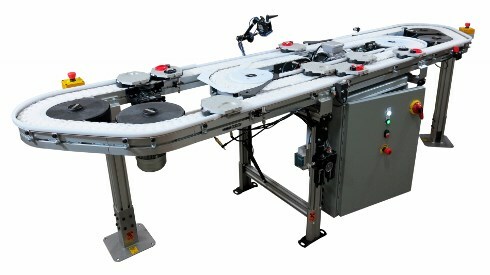 This new system is an innovative, modular, dual belt pallet system. It features a pin tracking system, quick belt change capability, and powered corner guiding. Stay tuned for more news about our newest product!